Thanks to popular movies like Top Gun, aviators have transcended their utility of being a sunglass style exclusively made for pilots back in 1936 to the style icon they are today. Being one of the most recognizable frames next to the classic Wayfarer, aviator sunglasses are a great addition to any man’s ensemble. With their full coverage style, the aviator frame provides complete protection from the sun. So if the glares of oncoming cars or the ocean are too much to handle, aviators like the ones we list below will deter these bright distractions. Undecided on which aviator style is best for you? 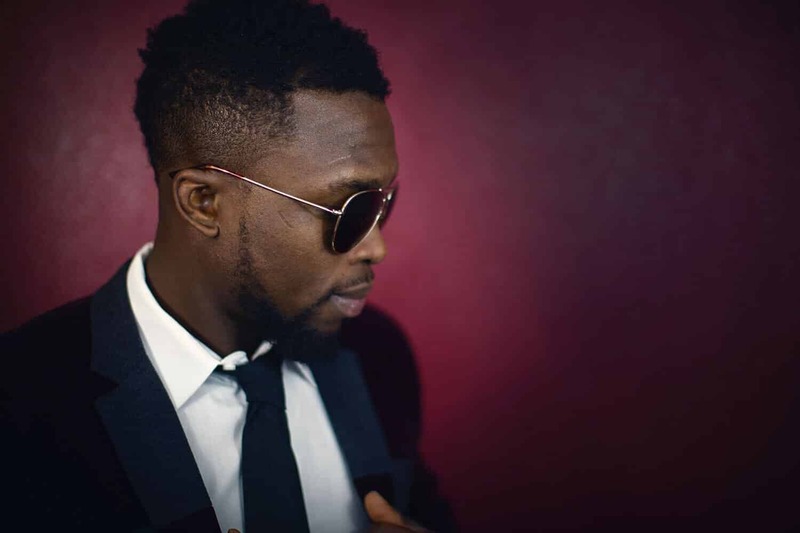 To help you out, we rounded up some of the most popular aviators that are worn by both celebrities and stylish men alike. If you are looking for a ‘classic’ aviator, you can’t go wrong with the Ray-Ban RB3562s. However, if you are looking for a pair of aviators that are a bit more contemporary, then the Dolce Cabana’s are a perfect choice. Sunglasses are an integral part of any outfit if you plan to go out into the sun. Not only do they block UVA and UVB rays, but they also look amazing with any outfit. Aviators in particular are making a comeback in the fashion world, and rightfully so. Bolon polarized sunglasses are one example of classic looking sunglasses that are effective and stylish. With tinted plastic lenses and a sturdy metal frame, these sunglasses are ideal for all-day wear every day. The design of these glasses are close to what is perceived as a traditional aviator, with a flatter top and a rounded bottom. This ensures that they go with most face shapes and sizes. Because they are polarized, they reduce glare and light coming off of reflective surfaces. This makes them ideal driving glasses as you will not have to worry about being blinded by sudden glare. 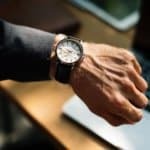 If you need to wear prescription lenses, the Bolan sunglasses are compatible with most prescriptions, meaning you don’t have to fuss with clip on glasses that may scratch up your regular eye glasses. Bolan aviators are great looking sunglasses that feel good, and work great for out in the sun. They are also very affordable and easy to wear with any outfit. Looking good is not the same as feeling good, but when you wear sunglasses that complement your style, you can do both. 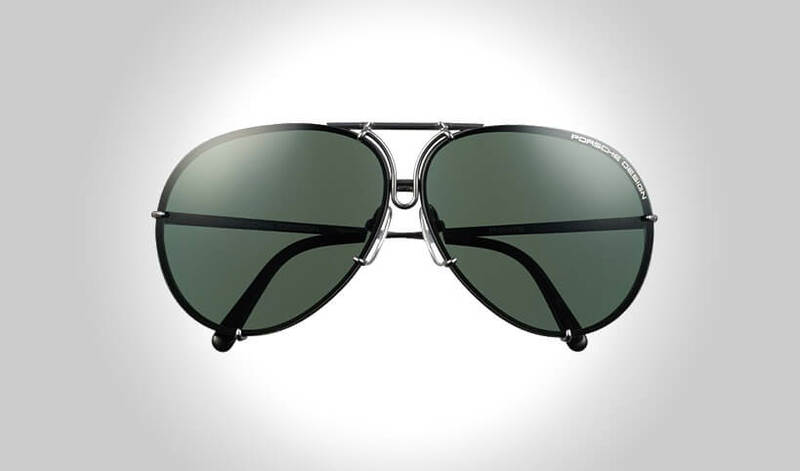 Carrera’s Ca1001 aviators balance style and function, and offer a unique spin on aviator styles. These sunglasses are thick around the rims, and the plastic lenses feature a dark gradient that filters out light so that it is more comfortable to see through. These non-polarized glasses are coated with a special UV protecting finish, keeping your eyes healthy while out in the sun. The lenses are also exceptionally large, at 62mm across. This ensures that not only are your eyes covered, but also the area around your eyes. This is important as UV damage can also accelerate the rate at which your skin ages, so having that extra protection around your delicate eye skin helps to prolong your youthful vigor. As for fit, the arms are a fairly standard 5 inches, but the bridge is where these aviators suffer. At a small 11mm wide, men with larger noses may have a hard time getting comfortable in these sunglasses. They’re stylish and relatively cheap, and even though the nose pads cannot be adjusted to make room for larger framed noses, it is still a very solid plastic aviator for people looking for a thicker frame. You are a man of style, and if there’s one thing that you are never without, it’s quality sunglasses. Sunglasses can dress up or dress down any outfit easily, and you’d be foolish to not have at least one good pair of sunglasses on you at all times. If you don’t have any sunglasses, the Dolce & Gabbana aviator sunglasses are just what you need to get the ball rolling. These incredibly stylish, luxury sunglasses are available in two colors: classic black with green tinted lenses, or the more bold gold rimmed glasses with amber tinted lenses for adventurous types (with deeper pockets). If you have never owned a pair of aviators before, the traditional black look is what you’re looking for. These non-polarized sunglasses feature more rounded lenses to complete that classic aviator look, and with a bridge of 15mm, it is sure to fit over most nose bridges. The glasses themselves are made with plastic lenses and a metal frame, ensuring longevity throughout the life of these ocular accessories. The black colored sunglasses are extremely affordable coming from Dolce & Gabbana, who is well known for making high-quality luxury accessories. Plus, you get a fancy case to keep them when not in use, and an authenticity notation that ensures you are getting a legitimate product. This particular color and style is ideal for individuals who are seeking brand name sunglasses without the traditional brand name price. Sometimes, luxury comes in the form of sunglasses. Fendi is an Italian manufacturer that specializes in high-quality clothing and accessories, and prioritizes quality over all else. As a result, products such as their polarized aviators look simple, but are made with superior craftsmanship expected of Italian-made products. The lenses of these aviators are polarized and lightly tinted, allowing for a more true view of the environment around you, without the burning glare of the sun against the pavement or passing vehicles. The frames are made from lightweight metal, ensuring that they don’t feel heavy on the face. Additionally, the lenses are 60mm wide, covering a large area around the eye as well as the eye itself to prevent sunburned eyes and skin. As far as traditional looking aviators go, these are very close. They look and feel like designer brand sunglasses, and go well with many different face shapes. If you are in the market looking for high quality sunglasses that look and feel good on your face, these lightweight aviators are sure to be what you are looking for. The polarized lenses let you see the world in true color, and the metal frames are wonderfully light compared to plastic brands. They are a great pair of sunglasses for all weather wear. Aviator sunglasses have been gaining traction in the past few years as the go-to sunglasses for every day wear. However, with all the choices out on the market today, settling on the ones that are right for you can be a bit intimidating. Greg Norman aviators are traditionally stylish in design, while not sacrificing functionality as UV-blocking sunglasses. These particular sunglasses are polarized, meaning that not only do they shade your eyes from the sun, but they also reduce glare. This polarization makes them ideal driving glasses as you will not be blinded by the early morning sunlight glinting off other vehicles. These blue-tinted sunglasses have plastic lenses and a metal frame, which makes them exceptionally durable when dropped or put in your pocket. The arms of the glasses are thin, and while this does give the sunglasses their traditional aviator look, they do bend easier than plastic arms. The lenses are 60 millimetres wide by 48 millimetres high, or 2.3 by 1.8 inches, which makes them nicely proportioned for most face shapes and sizes. Thanks to the price, these are very affordable aviator sunglasses for those who want to experience a glare-free day in the great outdoors. GUESS is a highly sought after name brand that creates clothing and accessories designed to make a statement. The same can be said for their metal men’s aviators. This product focuses on style as well as function, and does both exceptionally well. The frame is metal, which allows it to stand up to a lot of rough handling without breaking, and while the lenses are non-polarized, they are tinted to minimize the amount of glare that gets through to your eyes. These sunglasses are ideal for protection against UV light, and are specially coated to greatly reduce the amount of harmful rays that affect your eyes. The arms span a length of about 5 inches, while the bridge between the lenses measures in at a mere 12 millimeters. As a result, these glasses are more designed for people with smaller noses. Overall, these are very effective and stylish glasses that come with a hard carrying case for added protection. Because they are not polarized, they aren’t the most ideal for driving with, but are perfect for a day at the beach or for strolling downtown. GUESS’s stylish aviators are a great addition to any outfit, whether you prefer business casual to simply casual, and are perfect for every day wear thanks to their sturdy construction. If dark sunglasses aren’t your cup of tea, then why not go for a lighter lens to complement your look? 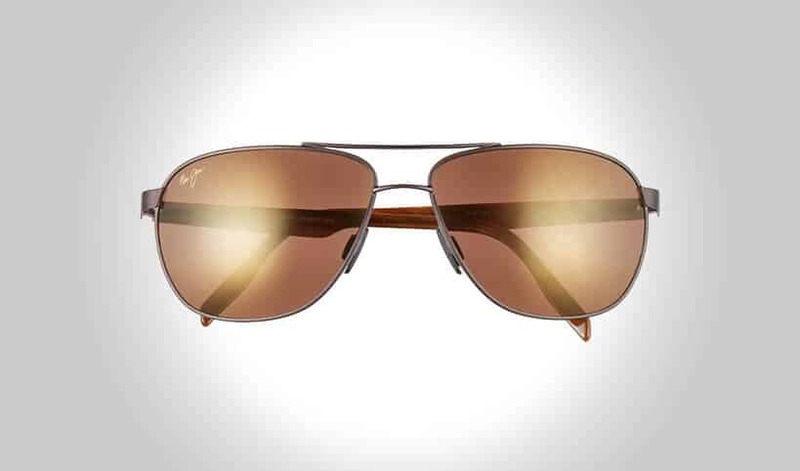 Tom’s Irwin aviators have all of the functionality of other aviators; they block UV light that can seriously damage your eyes, and they are fashionable and affordable. What makes these glasses stand out from the rest is the light weight frame and large, stylized lenses. The lens and bridge length measure in fairly standard, at 58mm and 15mm respectively. However, these aviators feature very long arms, at nearly 6 inches in length. This is ideal if your temple to ear ratio is considerably longer than most, or if you have a longer than average nose where you rest your glasses. Tom’s is also different in that when you purchase these aviators, or any Tom’s glasses, they help give sight to someone in need through their One for One program. Not only are you helping yourself in looking more fashionable, but you are also helping someone that may not have access to affordable and dependable eye care. Plus, they are incredibly affordable; looking good has never felt so good. Ideal for downtown walks, or for driving if you don’t need a prescription, these glasses are a great wear all year round. Brand names don’t have to be expensive, especially if you are looking for a pair of sunglasses. The popular brand Lacoste sells these very traditional looking aviators at a very affordable price. These sunglasses feature a 59mm width and a 15mm bridge for a comfortable fit, and are polarized to ensure that you aren’t blinded by the sunlight, either directly or from glare off of the environment. Because of this, these aviators make great driving glasses. If you already wear prescription glasses and don’t want to fight with finding suitable clip-ons, these Lacoste aviators are able to be fitted with your prescription. 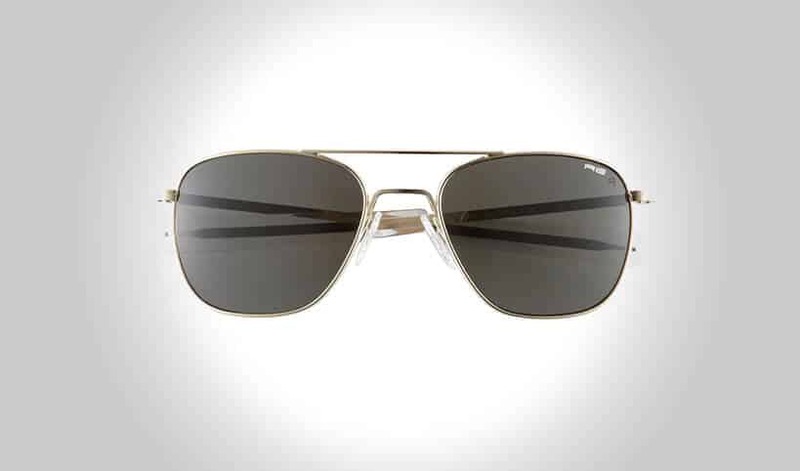 These aviators are decorated with a top bar across the bridge, and the Lacoste logo is etched right into the lens so that you know you are getting a legitimate product. The hinges are flexible, so even if your head is a little bigger, you should have no problem fitting into these sunglasses comfortably. As for the lenses themselves, they are advertised as having 100% UV protection to prevent long lasting damage to your eyes, such as sunburn. Overall, these are fantastic for daily use; they’re stylish, functional, and ideal for everyone with or without a prescription. See the world through rose colored glasses. These polarized aviators from Maui Jim are designed after the well-loved aviator style, but instead of the dark black tint that accompanies most sunglasses, the Castles model features a golden rose color that makes the world look a little better. Thanks to the polarization of the lenses, you can enjoy everything around you without the harsh glare of the sun. It also protects you from sunburn, which helps preserve your youthful appearance. The metal frames are decorated by plastic coverings, and really sell the image of a tropical look. 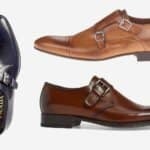 Wear them with a bright colored button down, or with a light jacket. These are ideal summer time glasses, but they go well with many different clothing styles. The 16mm bridge works well for medium to large sized noses, and the 140mm arm length ensures a comfortable fit no matter your face shape. The metal is flexible, and will give you some room if you happen to have a larger head. Buyers of this product speak very highly of these Castles pilot glasses, and thoroughly recommend them due to their look and their fit. If you are in the market for a great looking pair of aviators, these make a stunning first impression. Smart and sophisticated; these are the terms that may be used to describe a man who wears classic aviator sunglasses. Styles such as those exhibited by the Original Penguin brand are always in season, and never go out of style. These particular sunglasses feature blue tinted lenses that are effective at minimizing UVA and UVB damage, and are non-polarized to give you a more true to life view of your surroundings. They do not negate glare off of passing reflective surfaces, but the tint of these glasses ensure that you are not in danger of causing long term damage to your eyes. The metal arms are about 140mm, or about 5.6 inches long, and the bridge of the glasses are considerably longer than competing models at 18mm. This ensures that these glasses fit larger nose bridges as well as medium ones. These aviators are incredibly affordable, and are ideal for people who have not ever owned a pair of aviators before as they are sturdy in construction and conservatively styled. These sunglasses are prescription compatible, meaning you can outfit them with your personalized prescription. Driving with sunglasses has never been easier, as getting your prescription negates the need to switch out glasses for going outside and for driving. Incredibly fashionable and affordable, these Penguin aviators are a top choice among frugal shoppers looking to spice up their daily wardrobe. Aviators don’t necessarily need a thin metal frame and large, bug eyed lenses to be classed as an aviator. Sometimes, they have full plastic frames that surround the entirety of the lens for a more traditional look. The Sheldon Sun aviators are not your typical aviators; instead, they go for a more subdued look with a thick and full frame made entirely from plastic. The plastic frame adds stability and comfort that can’t necessarily be found on traditional metal frames. They are also thicker and a little heavier, if that is what is comfortable for you. The lenses on this pair of sunglasses are non-polarized, and have a gradient coloring to them which allows for a more true life viewing out of the bottom of the glasses. Like other Penguin models, such as the Craig Sun aviators, these glasses are also available as a prescription which makes them ideal driving sunglasses. They are also great for days at the beach, as you do not need to bring your expensive prescription glasses to be able to see everything that’s going on. The Sheldon aviators are finished with a UV coating that protects your eyes against harmful rays, while also looking fantastic with any outfit you decide to wear. Traditional, affordable, and extremely fashionable, these aviators are ideal for drivers with style. If you are on a budget, and aren’t too keen on spending $200+ on a pair of sunglasses you barely use, the Polaroid aviator sunglasses may just be what you need. These glasses feature a moderate 56mm lens that is big enough to cover most ocular areas, but not so big that it takes up most of the face. The arms sit at a decent 139mm, which is comparable to many other brands on the market. Because the frames are made of metal, they are more flexible than their plastic counterparts, and will adjust easily to any face shape and head size. These are a great traditional aviator that are not too big and not too small, just perfect for any style. The polarized finish ensures that you get a picture perfect look at the area around you, without being blinded by glare. The blue lenses are incredibly fashionable, and add a touch of color to your outfit. As for price, they are ultra-affordable and will not hurt your wallet in any way. Ideal for men who either aren’t accustomed to wearing sunglasses, or are not entirely sure if aviators are right for them. These versatile sunglasses will definitely look good however you decide to wear them. Sunglasses are both a safety precaution and a fashion statement, and you want a pair that couples with your personal style. Aviators are a classic style of sunglasses that are fashionable with virtually any outfit. Police brand men’s aviators are fashionable while serving a purpose, and are guaranteed to look good while you are out in the sun. These sunglasses feature plastic, non-polarized lenses and a metal frame for extra durability. Because the lenses are non-polarized, they do not negate glare like polarized sunglasses would. For additional style, the lenses are tinted orange/red, instead of the traditional black to give you something different to wear with your daily outfits. Aside from looking great, these sunglasses also have a 100% UV coating to protect against harmful UV rays. While the non-polarized lenses don’t necessarily reduce glare, they are sure to save your eyes from long term damage from being out in the sun. The 61mm by 45mm (~2.5 inches by 1.7 inches) lenses give you that classic aviator look without being too big for your face. 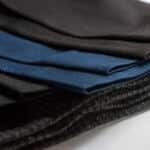 The Italian manufacturing is sure to impart a sophisticated and adventurous feeling every time you go out. However, that same Italian charm is what gives these glasses their price tag. 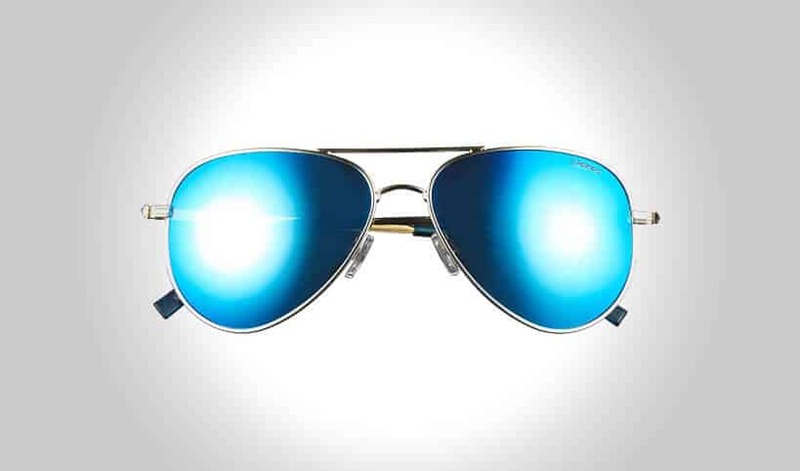 Overall, these are fairly standard aviators have unique colored lenses ideal for any daytime look. What is a chic, trendy, stylish look without a pair of classic aviators to match? These round glasses are the very definition of what an aviator should be, with a traditional shape and feel that anyone can love. The P8478 is a beloved style with a high-class flair; the frame is made from titanium, a very shiny and very durable metal that is sure to withstand years of use. The lenses are solid black, and if something should happen to your first pair of lenses, this style also comes with a second pair of lenses free. 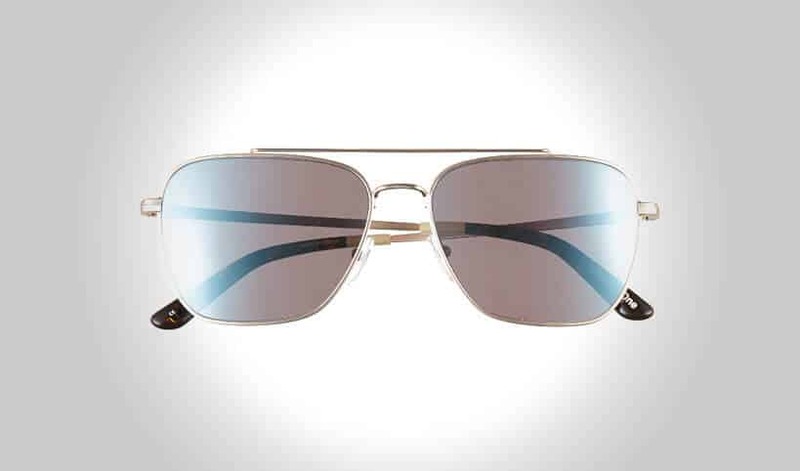 These aviators offer 100% UV protection, and are adjustable so that you can make them fit your unique nose shape. This ensures a comfortable fit every time you wear them. The biggest sticking point with these glasses is the price; they are made by Porsche Design, a luxury brand that carries it’s luxury price tag. However, it is a solid investment if you are dedicated to wearing name-brand accessories, and the glasses themselves are engineered in such a way that they will last for many years. These sunglasses are ideal for individuals that cannot go without sporting this legendary look; collectors and people with well-defined tastes will have an appreciation for these glasses. Randolph aviator sunglasses are made to impress. Their cool, simplistic design is a call-back to the style years ago. These glasses were made to be worn with leather jackets and jeans, though you could get away wearing them with any other style as well. They feature flat topped lenses with a metal alloy frame, making a lightweight and easy-to-wear product that goes on easy. The lenses are polarized to reduce or negate the glare off of the surrounding environment, allowing you to see the world as it was meant to be seen. The classic pilot look is perfect for anyone to wear, and looks great with a nice bomber jacket and jeans. Of course, you can also wear it on the beach, fishing, or whenever you are outside. The 55mm wide lenses are ideal for blocking out the sun, and the thin metal frame is sturdy enough for repeated use throughout the year. Plus, the wide 20mm bridge is great for men who have trouble finding a style that fits a wide bridge. 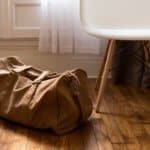 If you live in an area that gets a lot of sun year-round, these are a great first choice. They are a little pricey, but the quality of the product makes the price tag well worth it. There is nothing like owning a quality pair of Ray-Ban sunglasses; they are fashionable, affordable, and incredibly effective at protecting your eyes from harsh UVA/UVB rays. If you like wearing sunglasses that work with any style or budget, these Ray-Ban aviators are the way to go. Their metal frames are stylized to include a wider arm, while maintaining a lightweight feel while on your face, and the plastic nose pads adjust to your nose shape to get a better fit. 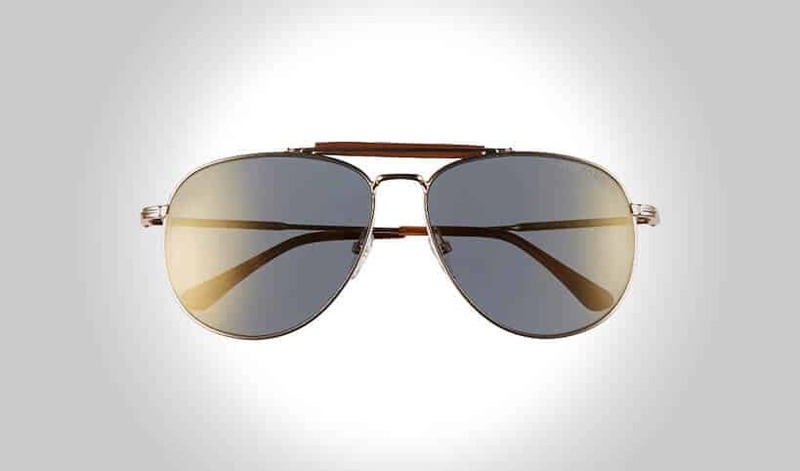 With a 16mm bridge, these aviators are ideal for men with moderately sized noses. The lenses on this model are non-polarized, but they do feature 100% UVA/UVB protection to keep your eyes from getting sunburned. The wide 61mm lenses also help to protect the delicate skin around your eyes. If your sunglasses don’t sit right on your face, it could be because the arms are too short. These Ray-Ban aviators feature an arm length of 145mm, which is about 5.7 inches. This length ensures an extremely comfortable fit around the face without the glasses riding too far up the nasal bridge. These aviators reflect the classic style, and are a great purchase for people looking for an accessory to complement their daily wardrobe. Classic sunglasses look good with every outfit, but what do you do if you’re bored of the same old styles in the same old colors. You want something that will look good and feel good, but also makes you stand out as a leader of fashion. The Ray-Ban aviator sunglasses are ideal if you want a little touch of color to go with your outfit. These plastic lenses are bright blue with a complementary gold frame that highlights and accents your eye area, something you don’t get with plain black sunglasses. Ray-Bans are leaders in eyewear, and this particular model of sunglasses are no exception. What makes these sunglasses different from other brands is that these Ray-Ban glasses have a six-layer anti-glare finish, reducing the amount of sunlight that shines directly into your eyes for a more comfortable view of the world. This anti-glare finish is possible thanks to the polished iridium Chromance lenses, a technology that is exclusive to Ray-Ban sunglasses. The lenses themselves are 59 millimeters across, allowing for complete coverage of the eye area against UV rays. Overall, these sunglasses are ideal for every day wear or for driving. They are sturdy enough to last through daily use, and are effective at minimizing glare when driving or when at the beach. These uniquely colored sunglasses are sure to draw envious glances in a crowd. Most aviators have a small nose bridge to fit on most noses, but if you’re a man with a wider bridge, you want a pair of sunglasses that is going to fit comfortably. Revo’s polarized glasses not only look good, but they are specifically designed to fit globally over wider noses. With a 23mm bridge, it’s definitely one of the wider glasses on the market. Of course, to make up for that width, the lenses themselves are a little narrower, at 58mm. 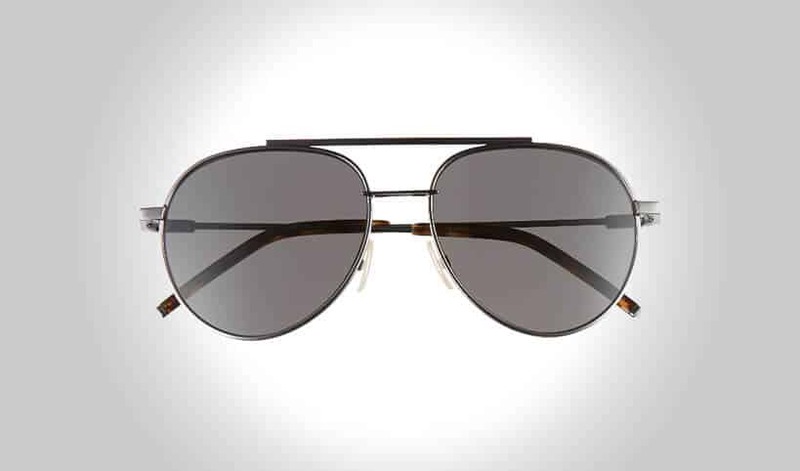 This does not affect the overall look of the aviator in any way, just that the proportions are a little smaller. As far as other small proportions go, the metal arms are considerably smaller at 135mm (5.3 inches). This length is not too much smaller than the standard 140mm, but it is enough to make a difference. To ensure that these glasses are right for you, measure the length from your temple to your ear. The nice thing about these aviators is that they are polarized, so they reduce the amount of glare you get from passing reflective surfaces such as cars and glass. This polarization allows you to take in your surroundings clearly, without having to shield your eyes from bright light. 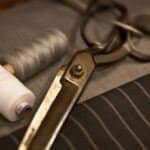 Investing in high fashion isn’t cheap, but it is worth it to know that you have a quality made product in your hands. This is the case with the Sean aviator sunglasses; these sunglasses are a throwback to the traditional aviator design with a modern flair. The lenses are a cool 61mm across, making them nicely big and round for that classic look. The additional benefit of having them this big is that they not only protect your eyes, but also the area around your eyes. The lenses are set in a metal frame, which is slim and lightweight compared to bulkier plastic frames. The entire piece is accented by a leather strip on top of the bridge, giving the glasses a unique twist that doesn’t detract from the look at all. Perfect for casual wear, or even business casual if you want to be adventurous. These glasses are ideal for people who aren’t concerned with a budget, and simply want to accent their wardrobe with a timeless accessory. The price would be the only sticking point for a lot of people, but it is solidly made and beautifully designed. Because of this, it is well worth the money, even though it isn’t necessarily a name brand item. Classic aviators look great on most anyone, but they look especially good with leather and denim. No matter your style or budget, these aviators from UnderArmor are sure to fit your needs. These specific sunglasses are made with a metal frame and non-polarized lenses that are fashionable and effective at blocking out UVA and UVB rays. Despite being non-polarized, they are coated with a protective, anti-reflective coating that reduces glare and guards against scratches, smudges and scuffs. The dark tinted plastic lenses are ideal for daytime use, as they reduce the amount of sunlight that hits your eyes, and the adjustable nose pads ensure that you get a perfect fit throughout the life of the glasses. The bridge is a roomy 16mm, and the lens is a wide 56mm, ideal for complete coverage across the eyeball and the surrounding skin. When not in use, these glasses can be kept in their case for safekeeping. Overall, these glasses are ideal for everyday wear, or for people who partake in physical activity and are prone to perspire. The rubber nose pads are great for keeping these aviators on your nose and in front of your eyes, instead of slipping down and off if you’re going for a run.